Joe Adams (Cary Grant) is a man in the gambling business; but when it comes time that Joe might have to gamble with his own life, he decides to dodge the draft and take his chances. Since receiving his 4-F rating, Joe is free to cook up some new schemes, which include swindling a great deal of money from a female war relief group. In order to do this, Joe must join the group and act as one of the members. 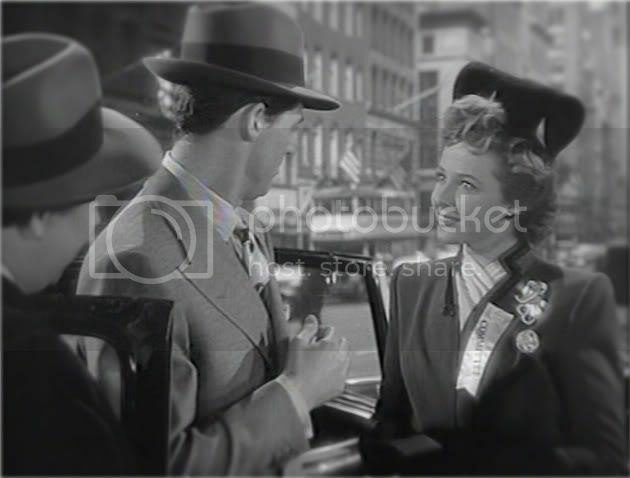 Here he meets Dorothy (Laraine Day), one of the leaders of the group. The two eventually fall in love, as to be expected, and Joe must decide whether or not to go through with the job. Will he choose love or money? 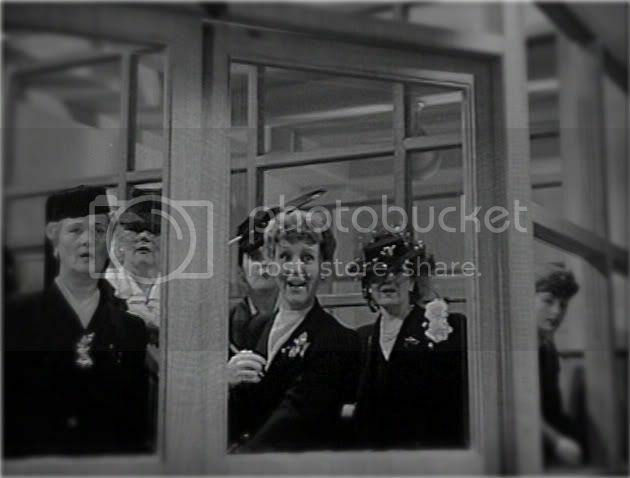 When I first viewed this film, I was immediately stuck by the fabulous hats the female leads and extras were sporting throughout the course of the film. 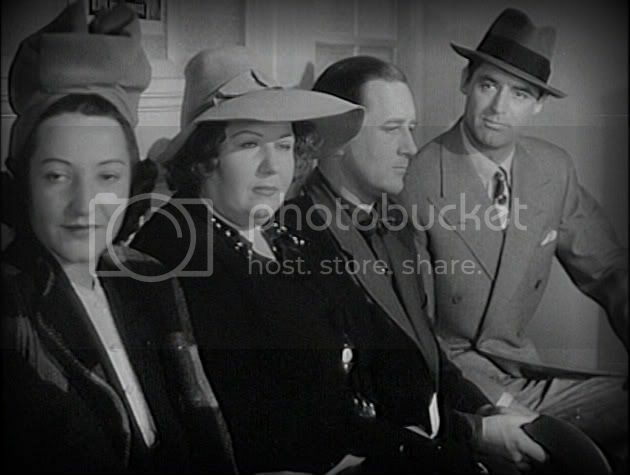 While majority of the women are shown in typical 40s suits, which can sometimes be a bit boring if that's all the women are wearing from scene to scene, the hats in this film really stood out because of the more simplistic attire. I also feel that this film makes an excellent case study for how accessories during WWII were used as a way to spice up outfits and add elements of style to a rather simple look of the suit. I also like to see fashion directors to pay attention to not only their leads, but their extras as well, something this film does a wonderful job with. Sometimes it's the extras that are wearing the more interesting hat! The only costume credit on this film is Renie for gown design. 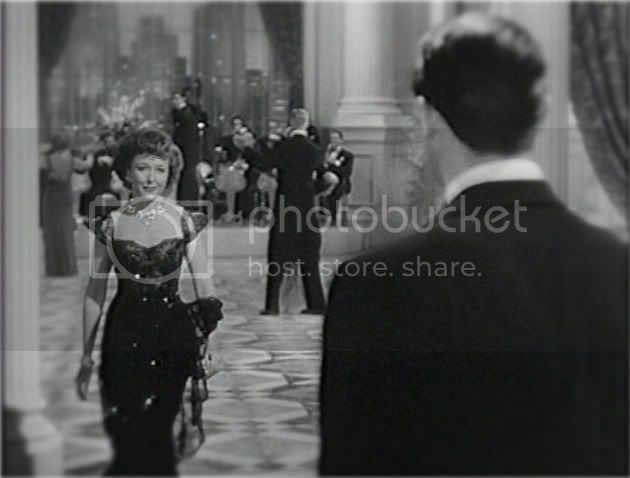 Towards the end of the film is the charity benefit, which is a formal event, and the gowns definitely do not disappoint. I do wish that there was a credit for who choose/made the hats for this film, as I feel they are an intricate part of the costume design. Renie, or Irene Brouillet Conley as she was known in her private life, had a long career in Hollywood; beginning in the late 30s and ending in the early 80s. She pretty much worked up until the last ten years of her life, which I am assuming was spent in retirement. Some of her fashion sketches belong to the Los Angeles County Museum of Arts, which seems to own quite a bit of Adrian's work as well. I am not sure if these items are always on exhibit, but it definitely has given me something to research! Mr. Lucky is available for purchase through the Warner Archive and to rent through Classicflix. I had no idea they were remastering the old films--that is so wonderful! Thank you for the heads up. By the way, you have a lovely blog here! I LOVE Mr. Lucky! Oh, and all the cool fashion and furnishings and architecture, too!